The world's first surround sound music app-album! Discover the full potential of your home theater's audio system as surround recording artist and guitarist Jeff Perrin takes you on a journey of guitar-centric soundscapes and instrumentals, each specifically arranged and produced for surround sound playback in the home theater environment. Over 45 minutes of room-enveloping surround sound music, including six full-length tracks inspired by the music of Led Zeppelin, Pink Floyd, Joe Satriani and others. Bonus tracks include demos and various musical surround experiments from the artist's production studio, "The Lab." “Home Theater Speaker Check” track provides audio and visual feedback for testing Dolby Digital 5.1 playback and surround sound speaker configuration. Behind-the-scenes notes and production commentary. Original, HD-resolution artwork displays on your TV screen via Apple TV during audio playback. Includes AirPlay multitasking capability — you can use other apps while surround tracks continue to stream. Enable Airplay to stream Dolby Digital surround sound audio to your home theater receiver. 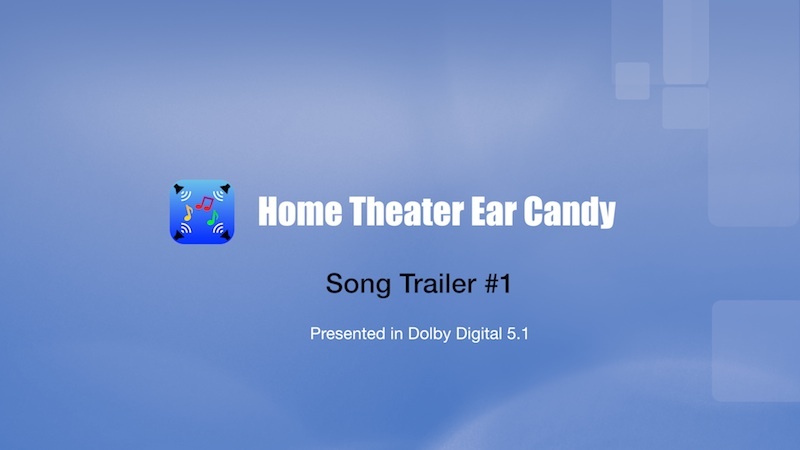 *App version of "Home Theater Ear Candy" is currently limited to Apple iOS devices. Visit the App Store listing for specific system and surround playback requirements.